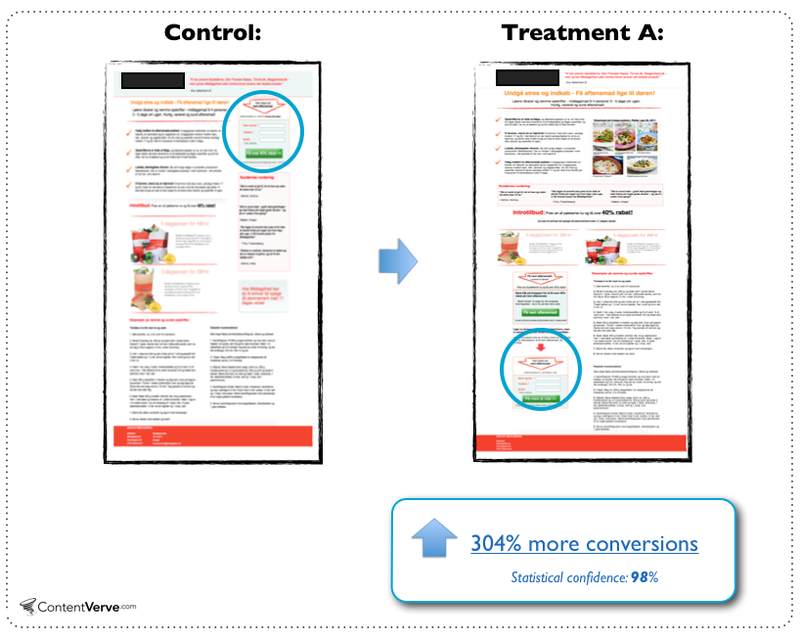 A/B tests can be a quick and effective way to make long-lasting improvements to your marketing efforts. But where do you start? A/B tests can be an effective way to test which different versions of your marketing would work better at engaging your target audience. However, this can sometimes be a lengthy process, with tests having to be run over a considerable period of time to gather enough data to be able to draw a meaningful conclusion. But this isn't always the case. There are a number of quick wins that will add an almost instant boost to your campaign. One of the most straightforward and simple A/B tests you can do is to alter the position of any call to action (CTA) button placed on the website or email. For websites, buttons normally performs much better above the fold but for emails it can be a bit more complicated to establish where the ideal position is. Not only do you need to need to understand different user behaviors but also ensure it is optimized for smartphones. Finding the best place for your buttons can have a massive impact on your click-through rate (CTR) and engagement levels and it's a relatively simple change to implement. It's likely that you spent a lot of time ensuring the colors you're using complement your brand image but have you thought about how engaging they are to users? The palette you choose can have considerable impact on conversion rates and what consumers feel when they interact with your brand. For example, green evokes tranquil feelings and images of nature, while purple can stimulate problem-solving thinking. There are also certain colors that men prefer more than women or older generations compared to younger consumers. A/B testing can be used to determine what colors your personas respond most positively to but also to understand the optimal balance of this palette. Getting this element of your marketing right can significantly boost engagement and ensure visitors are understanding what you are trying to communicate through your marketing. Getting people to actually open your emails can be a challenge but one of the best ways to determine what encourages them to read instead of delete or ignore your email can be established through A/B testing. Experiment with a variety of different techniques from very formal to personalized and even quirky to find what engages your specific target audience the best. There are a variety of tests that you can perform to find the ideal way to communicate with consumers. These can be sent internally, to a third-party research group or even to actual clients. Regardless of which approach you use, you should start by thinking about what would get you the most accurate results and what any potential drawbacks are. 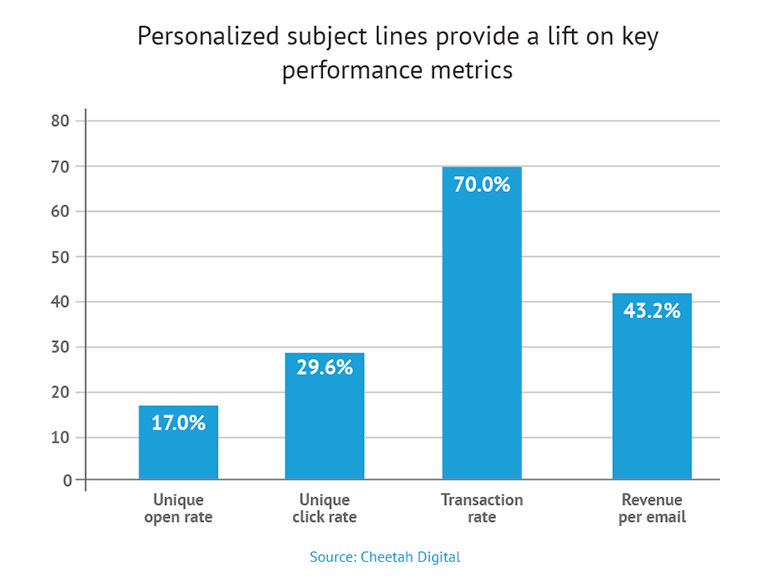 It's also important to remember that if people are opening your email but not taking any further action, more optimization is needed. There should be the capacity to track this in your A/B tests, which you can then weigh against the rest of the data collected. There are a number of factors that influence visitors when they land on a website. This could be testimonials, trending products, activity on social, or consumer-uploaded images of your product. Anything that increases the trust of your brand from a visitor's point of view counts as social proof as they all impact how likely a consumer is to convert. It can help you optimize the browsing experience and increase the chance that visitors will take decisive action. With so many different types of social proof available, it can be difficult to determine which you should use for A/B tests. You can try adding context to reviews so people can easily see whether a user is the same persona as them or show the total number of purchases made for your product. These should give your consumers more confidence in your brand but it will massively depend on your specific target audience. It's important that any A/B test you run is done in close relation to your brand image otherwise it won't fit into your wider marketing strategy. There's no point embracing yellow if this goes wildly against everything else you've created or using quirky subject lines for emails if it doesn't reflect you as a business. This is why you should start by setting objectives before you run any tests to see how the results will fit into your wider strategy and how it will help you achieve your overall marketing goals. You should also ensure that only one factor is changing between your different tests to make sure it delivers the most accurate results.